Add these 4 decorative solar umbrella lights to your umbrella, awning, tent or gazebo to provide a warm mood light to your outdoor area. These lantern style lights contains a flickering amber light to add unique accent lighting to any outdoor space. Each solar light features a clip and loop so that the lights can be strung to hang, clipped to an umbrella or awning or set on a table. Each light features an internal light sensor that will automatically turn the light on at night and off during the day. When fully charged these lights will illuminate up to 8 hours at night. 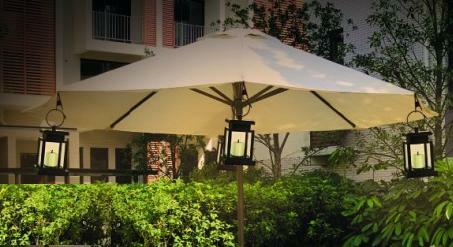 With the amorphous solar panel, these lights will partially charge even on cloudy days. 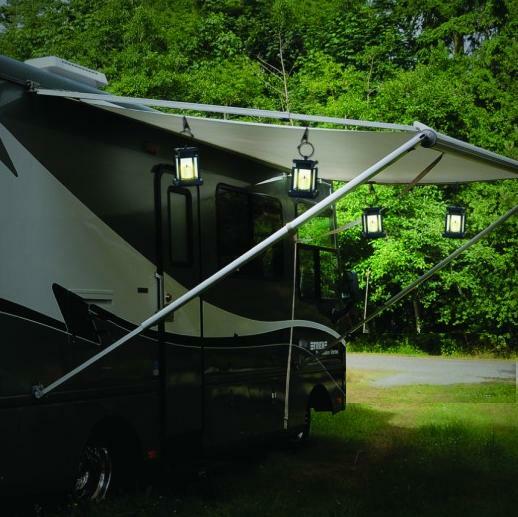 Made from heavy-duty PVC plastic these lights are weatherproof and rust and corrosion resistant.